Toronto Vision Therapy and Optometry | The Vision to Change Lives. Toronto Vision Therapy and Optometry is a multicultural office and services are offered in English, French, Mandarin and Cantonese. Our doctors are committed to providing outstanding eye care in a caring environment. We are one of a few clinics in the GTA that offers in-office Vision Therapy – allowing our team to address visual needs that are not solved by glasses and contact lenses. Located centrally in the city of Toronto, with easy access by road or TTC, Toronto Vision Therapy and Optometry is defining itself as an office where integrity, compassion and enthusiasm are the driving forces behind the success of the practice. Call us at 416.498.3438 to discuss your eye care needs. Contact us at 416.498.3438 to learn more about Vision Therapy, book a consultation or your annual eye exam. Book online at torontovisiontherapyandoptometry.ca. Our staff will call or email you within 24 hours. Vision Therapy changes your life. The passion to help people live their lives to their maximum potential through the ability to properly see, is the driving force behind the team at Toronto Vision Therapy and Optometry. We always put our patients first and provide treatment options that address not only present concerns but future concerns. We advocate prevention of eye disease and prescription changes. With dedication and commitment on behalf of the patient, and a willingness to “do the work”, we partner with you to achieve your greatest success possible. Vision Therapy was a life changer for my daughter. Maxine was very patient, creative, enthusiastic and committed throughout all the sessions. Jacqueline not only improved her reading and overall performance at school, but became a happier and more confident child. Without hesitation, I recommend the services offered at Toronto Vision Therapy and Optometry. All the staff are very professional, thorough, caring and knowledgeable. We were in very good hands from the moment we stepped in for our appointment for our toddler-aged daughter. Dr. Eryou quickly helped us to understand that our daughter had retained her primitive reflexes, and that integrating these reflexes would not only help to improve her physical development, but her experience as a learner in the classroom and beyond. "Most of the time you hear about how vision gets worse when aging. 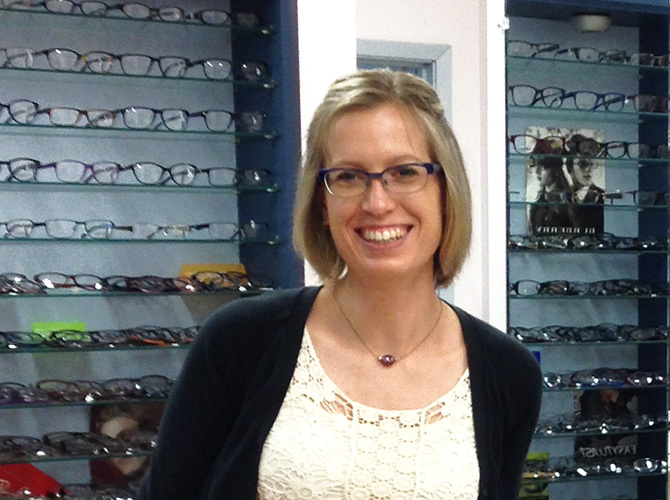 For me in my thirties, it was so far the other way round, and after 5 months I am super motivated to do anything to continue that journey thanks to Toronto Vision Therapy." "I have a 10-year old son name Ryan that struggled with schoolwork since he started. He couldn’t settle down while doing his homework, he always wrote diagonally on a line and his sentences seems to be one big cluster of words. I found out that he has vision problems beyond his 20-20 vision. Apparently, he needed Vision Therapy to enhance his ocular motor and perception skills. " "Vision Therapy is probably the best thing I have agreed to do in my life". I have a condition called amblyopia, also known as Lazy Eye. It's a development disorder where an eye doesn't develop to its full capacity while the other eye does and occurs around infancy and childhood. When I was around 5-6 years old, I noticed this when I closed my right eye and noticed that I didn't see as well in the left. I told my parents but they thought it was just something in my eye. I don't blame them at all because i was just a 5 year old, so they probably didn't think it was anything to serious. "I highly recommend a course of vision therapy at Toronto Vision Therapy and Optometry for anyone wanting to improve their visual system." April and Maxine are excellent facilitators of the vision therapy process and truly care about their patients. "Hi, I'm Curtis. In the beginning, I didn’t know there was a problem with my vision until my last check up. Little did I know I had a convergence disorder. At first, I was curious of how they can fix such a problem. They gave me a few tips on how I might be able to cure this disorder by doing pencil push-ups, just to see how big of the issue my condition was. As weeks moved on, pencil push-ups weren't enough and, therefore, we proceed with the Vision therapy." Welcome to the office of Dr. April Eryou, Dr. Katie Chan & Dr. Janice Hiu. The ability to “teach” the eyes to see, to train or retrain the visual system, which involves both the mechanics of seeing and the interpretation of vision, is what Vision Therapy is all about. In years past many people had surgery on the muscles of the eye to straighten a turned eye, or secure a lazy eye, but unless the newly affixed eye was taught how to properly see and integrate the information it was gathering with that of the other eye, the muscles would slacken again to help turn off the information coming from the ‘lazy eye’ and surgery was often repeated throughout the lifetime. With Vision Therapy, not only are the eyes taught to point in the same direction, but the brain is also taught to combine the picture from the right and left eye together so that a person can see in 3D. In many instances, this can replace the need for eye surgery. Once taught to see, the eye will never be “lazy” again! We love what we do and are proud to offer Vision Therapy to all patients, young and old. Contact us at 416.498.3438 to learn more about Vision Therapy or book a consultation. Free Glasses with OHIP Eye Exam for JK Kids! Eye See…Eye Learn® provides comprehensive eye exams by participating local optometrists to junior kindergarten students across Ontario. The eye exams are covered under provincial health insurance (or OHIP) when you show your child’s health card. This means that there is no out-of-pocket cost for the eye exam. If the child requires a pair of glasses, they will receive a complimentary pair donated by Nikon Lenswear, OGI and your participating optometrist. The value of the glasses is estimated over $250. Our doctors are committed to providing outstanding eye care in a caring environment. We always put our patients first and provide treatment options that address not only present concerns but future concerns as well. We advocate prevention of both eye disease and glasses prescription changes. We are one of a few clinics in the GTA that offers in-office Vision Therapy for patients of all ages. 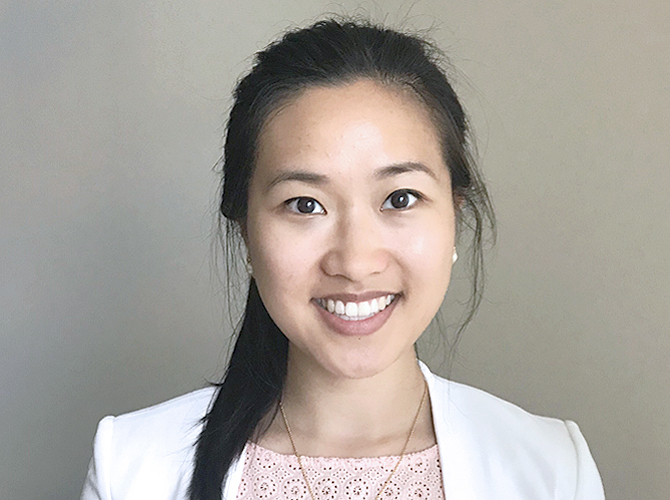 Dr. Hui strives to provide optimal eye care for all her patients and has extensive clinical experience in pediatric optometry. CLICK PHOTO to see full bio. 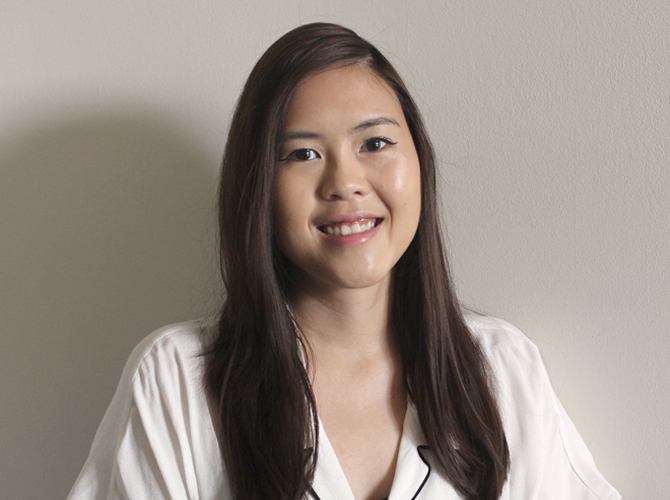 Dr. Chan has a strong passion for educating patients and providing patients with the best vision care and is fluent in English & Cantonese. CLICK PHOTO for full bio. My optometry career started off in rural BC & Ontario and the small town friendly atmosphere is what I bring with me to TVTO. CLICK PHOTO to see full bio.